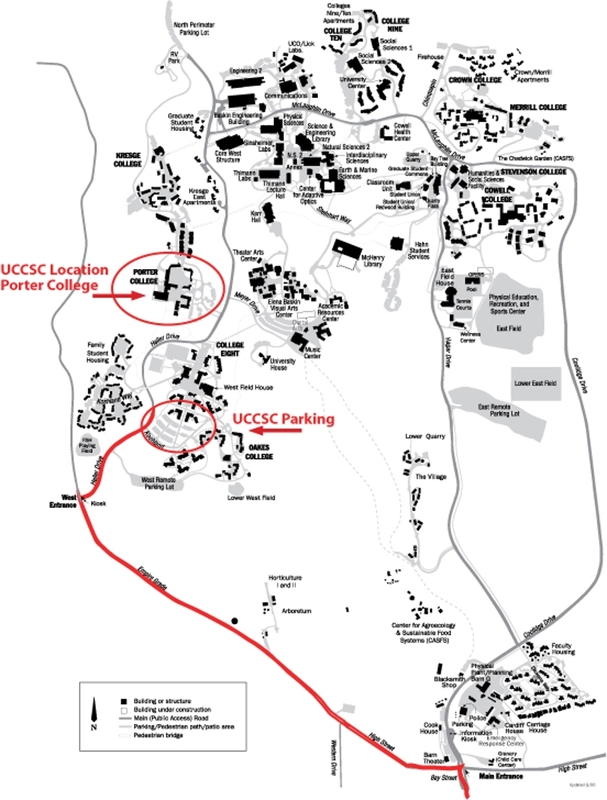 Getting to Santa Cruz is easy, but once on campus, it can be a little confusing navigating the interior and exterior roads. There are two entrances to campus (East/Main and West). Use the WEST ENTRANCE to get to Porter College where the conference is. Once you enter the West Entrance, you will see signs directing you to the conference. Use the EAST/MAIN ENTRANCE to pick up reciprocal parking passes or pay for a parking permit on Monday or Tuesday morning. 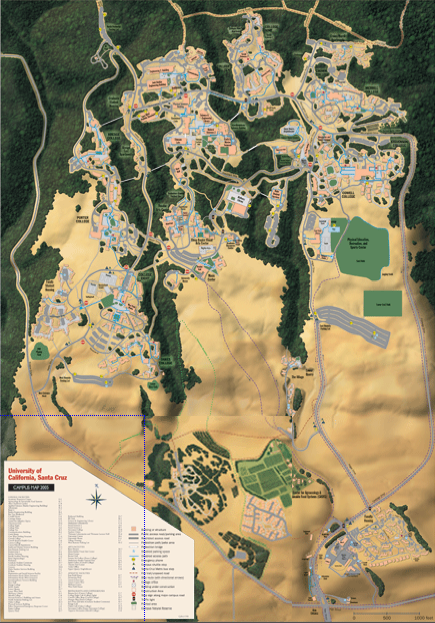 Use our campus map website to find locations on campus. The majority of the conference is being held at the Porter College. Use the WEST ENTRANCE to get to Porter College. Take Route 101 north to Route 156 west to Route 1 north. Then follow Route 1 north to Santa Cruz. Take Route 5 south to Route 80 west to Route 680 south to Route 280 north. Then take Highway 17 south to Route 1 north to Santa Cruz. Take Route 101 south to Route 85 south to Highway 17 south to Route 1 north to Santa Cruz. Take Route 880 south to Highway 17 south to Route 1 north to Santa Cruz. Take Route 1 north to Santa Cruz. Once you're in Santa Cruz on Route 1 north, follow the highway as it becomes Mission Street through town. Then turn right on Bay Street and follow it to the main campus entrance, which is the East/Main entrance to campus on the corner of Bay and High.